It is nearly thirty years since I wrote a book about my parents and the extraordinarily different families and personal histories from which they came [A Love in Shadow, New York: W.W. Norton, 1978]. I had made a conscious decision at that time to tell their stories as truthfully as I could, and to venture as modestly as possible into the realm of autobiography. One of the book’s more perspicacious reviewers, Geoffrey Wolff, recognized the fault line in that choice. In revealing little of my own experience, my memories of my own childhood with (and without) my parents, I revealed less of them. This brief essay, then, is an experiment in remediation, a rebalancing of a chapter of my personal book. I write now, as I did then, particularly for my children, that they may know better a part of their own histories. Each of those children, now adults, two with children of their own, have asked me for memories of my parents, particularly of the grandfather they never knew, around whose legacy an ominous and beguiling cloud still lingers. So much of that memory is gone, casualty of time and trauma. What remains is part of my truth, my story, even as I have inevitably reshaped it through the years, even as it has become difficult to separate the real memories from the stories of others, from the photographs into which I have poured so much of my hunger. For those reasons and others of which I speak here, he must always be the father I barely knew. My children only knew him through the fragments of my telling, and have wondered about his shadowed gifts to me, and through me, to themselves. I did not write or speak much of my loss of him when they were young. My parents met on Franklin D. Roosevelt’s campaign train in the autumn of 1932, and immediately fell in love. Both were married to others at the time, though separated from their spouses. On that train they were not successful in hiding their liaison from the press corps of which my father was a member. Had the story of their affair broken, it is just conceivable that the campaign, and perhaps the course of history, would have taken a lurch. Or so, much later, I liked to imagine. The following reflections and retelling - reimagining - of a familiar story are drawn from one of a series of talks shared in the winter and spring of 2007 with staff and patients at Modum Bad, a psychiatric hospital, retreat center and learning community in Vikersund, Norway. I discovered Modum Bad in 2005, and returned for a second extended time as a consultant in February 2007. Of course I've learned more than I've taught. My first impressions of Modum Bad, gathered after a first leisurely visit in 2005, are gathered in an informal essay on Modum Bad's website. I am revising and extending that essay for publication later in 2007, Modum Bad's 50th anniversary year - in fact, its 150th anniversary year, as it began as a healing spa in 1857. Modum Bad means The Baths at Modum, gathered around St. Olavs Kilde, St. Olav's Spring. My own retelling of Jesus's parable owes a great deal to the translation and commentary of Stephen Mitchell in his Gospel According to Jesus Christ (2001). The story I retell here is the last and longest of three parables of Jesus recounted in Luke's gospel. The thread they share is that of losing and finding and rejoicing in the renewal or life-redeeming experience. It is a tale of critical turning in life's journey. The theme of turning – a cycle of loss, of tender, halting discovery, and of redemption – is a central one in the history of the human psyche and soul, in the generations that gave us birth, in our Judeo-Christian tradition. The movement is that from life to death to rebirth. If we retell such traditional stories freshly, with open eye and heart and lively imagination, we may find in them something of our own stories; we may come to recognize that in some sense they have been ours all along. So in the telling and the hearing there is much that you already know. “Once upon a time”: that invitation to participate, placing the story in another time, in our time, in no time. So once: then, now, always. Once upon a time there was a man who had two sons. The older son was dutiful and hard working, but the younger son was restless and unhappy. His paternal home no longer felt like home: his mother was gone, his father and older brother were for him two peas a pod, confining and insufferably provincial. He didn’t know what he yearned for, only that it must be found elsewhere. So he chafed and moped, daydreamed and complained, and one day finally gathered the courage to say to his father, “Let me have my share of the estate. I’ve had enough of this.” So, we are told, his father divided his wealth between his two sons. We’re not told how old the sons are, just that one is older than the other, that the younger asks for the proceeds from his share—no more, no less—and that the father agrees, without question, hesitation or equivocation, without reservations or conditions. That’s our first tip that he’s an unusual man, an unusual father, not entirely what his younger son imagines. Soon after, the younger son left his family’s home and traveled to a distant country. I think we can safely assume that he knew much more about what he was leaving than where he was headed. The urgency he felt was that of putting distance between himself and the source of his pain, his feelings of restlessness and homelessness. As long as he remained on the road, traveling more or less without destination, he comforted himself with the thought that such distance was increasing and liberating. But when he went to ground, when he tried to settle in a distant land, the pain of his restlessness and homelessness seemed to have followed him like a long, supple and persistent shadow, almost as if he had packed it with care among his belongings, carried it unknowingly in his backpack. The freedom he had sought turned cruelly upon him. Relief from pain had been a terrible itch; it now began to consume him as an addiction. So – to make a long story shorter (this isn’t, after all, its best part) – he squandered his inheritance in wild and dissolute living. He didn’t commit murder or suicide, or join the Roman Legion, or do very heavy drugs – nothing truly catastrophic. He just made a mess of his life and lost all his money. And, needless to say, he became more desperately unhappy, and came to know loneliness as he had never known it before, save perhaps during the terrifying time he barely remembered – when his mother fell ill and died. His loss had begun years earlier; he now suffered it with compound vengeance. The famine inside him grew; he could not distinguish between his twin hungers, in his belly and his soul. He had never known destitution or true hopelessness before; he knew them now. With his thoughts in chaos, his feelings crowded into gnawing emptiness of body and spirit, he took the humiliating work he could find, from a man who sent him to his farm to feed the pigs. There was more nourishment for those unclean creatures than for him. In fact he came to envy the pigs. He longed to fill his stomach with the husks they were eating. No one would give him real food. Very few had food to spare, and those few more than others were afraid that the famine they saw in him, in his eyes and tattered cloak, would come to them as well. Talk about feeling like ‘a motherless child a long way from home’! Cut off from any real connection with other people, he felt barely at one with those he knew as the most unclean of animals, hungry for the companionship he saw them enjoying as they wallowed in mud. And there, at that moment, in the trough and sty, as it must so often be, comes a critical moment of change, a still point – an eye of the storm – the fragile start of a profound turning, that which the Greeks called metanoia. Such a turning typically begins with a scrawny cry -- all he could muster. More than an ordinary change of mind or heart, metanoia is a radical change of soul – mind, body, heart, spirit. When we give in to how lost we are, when our flotation devices have deserted us and ceased to function, when we sink like stones to the bottom of our emptiness, we may only then begin to rise, awaken, open our eyes, come to ourselves, glimpse a path we had not seen, or had seen only darkly, as confirmation of all that was irredeemable. Metanoia needs a safe place and the love of our friends, as well as – in the language of our forbearers –the grace of God. That it can sometimes begin in implausible and inhospitable circumstances is one of its mysteries. The theme of turning – a cycle of loss, of tender, halting discovery, and of redemption – is a central one in the history of the human psyche and soul, in the generations that gave us birth, in our Judeo-Christian tradition. The movement is that from life to death to rebirth. transition more than symbolically like dying, and thence to an experience of renewal that is qualitatively other—larger, fuller—than the life one previously knew. But I must pick up the thread of the story. This father’s son is halfway: the loss, the downward spiral, the pit of despond are preparation. One unity of being and becoming has frayed and broken. The old life cannot be resuscitated or held beyond its time. It has already become a poor, hapless shadow of itself, truly a death in life. So let’s call this time halfway on the journey. A traditional name for it is purgatory, though it feels like hell. Choices and tasks – the hardest ones – remain. “When he came to himself – those are the words used in the earliest telling we know -- “when he came to himself he said, ‘How many of my father’s hired men, those I despised like the pigs, have more than enough to eat, while I am dying of hunger? I will get up [he’s been lying down with the pigs, who lie down a lot]. I will go to my father, and say to him, ‘Father, I have sinned against God and against you, and I am no longer worthy to be called your son. Let me be like one of your hired men.’ And he got up, and went to his father." He is beginning to emerge from the sorriest of states, but a crucial one. The pity he feels for himself has not yet turned truly into compassion, for himself or others – well, perhaps for the pigs. But he has begun to wake up, to come to himself. We don’t know how long he has to hike, but we can safely bet it is a long way, a painful journey, on foot, with lots of time to think more about his deadening adventures and his family, to mull his return, to feel shame. Finally, as his son came close to home, but while he was still some distance away, before he could see clearly, his father saw him. Perhaps his father had been looking all this time. He had, as the first storyteller said, eyes to see and ears to hear, and he was full of compassion. As it is so beautifully told, “His father ran to him, and threw his arms around him, and kissed him.” One can speak no more eloquently of the beauty of that running, that embrace and kiss. It is not what fathers usually did in those days, nor often now. It is our culture’s archetypal expression of Sabbath touch. Of course the son was ill prepared, and could only say what he’d long imagined. ‘Father, I have sinned against God and against you, and I am no longer worthy to be called your son.’ At this moment the young man is stunned: those are the words he thought up while he was still lying in the sty. It’s like before we had CDs, we had records that got stuck; partly he’s still back there with the pigs, just beginning to wake up, and he doesn’t know his father’s been awake all the time. The father, hardly letting his son stutter out his last prepared line, turns to the servants, ‘Quick, bring out the best robe we have, and put it on him; and put a ring on his hand, and sandals on his feet. And bring the fatted calf, and kill it; and let us eat and make merry. For this son of mine was dead, and he has come back to life; he was lost, and he is found.” Clothe him, feed him, welcome him as I have. His renewal is ours; ours is his. We are found. As I imagine this father I am reminded of a voice from Jane Kenyon’s haunting poem, “Briefly it enters, and briefly speaks.” By her own testimony, that poem came to her unexpectedly, more than she to it. And she knew well the parable of the son lost and found. The shame and degradation, the wallowing lostness of the son, are being shed, the two—father and son—becoming one in the healing, the son washed, rebaptised in the father’s joy. The experiences of forgiveness and forgiven-ness come together, sealed in a loving embrace – the dancers and the dance. 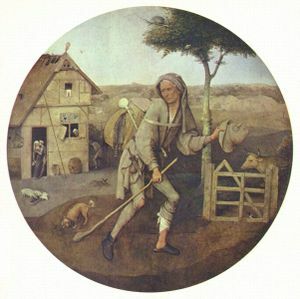 The older son had been in the fields, working, dutiful as always. On his way home, as he drew closer to the house, he heard music and dancing, and he called over one of the servants to ask what was happening. The servant told him: “Your brother has come home, and your father has killed the fatted calf, because he has him back safe and sound.” That made the older brother angry, and he wouldn’t go inside the house. But his father came out, came to him as he had come to his brother, and tried to sooth him. So here is another crisis. You can imagine many things that could go wrong. The father doesn’t want his joy and generosity spoiled by the older son who already got two-thirds of his estate anyway. Who was he to remind his father just as this celebration was getting under way that he hadn’t thought to reward normal filial loyalty with the gift of a goat? This son could afford his own goat. “The father said to him, ‘Child, you are always with me, and everything I have is yours. But it’s proper to make merry and rejoice, for your brother was dead, and he has come back to life; he was lost, and is found.” I hope—I imagine—that his son can see the tears in his father’s eyes, and feel the encompassing love in his words. If the father’s heart has long been open, the younger son’s heart was healing. He didn’t have to do anything to earn his father’s forgiveness; it’s simply there, in the running, in the robes flapping, in his sandals slapping on the ground, in the whole body embrace (not one of those manly little pats on the fanny), in his father’s face, which looked like the rising sun. That moment is not dissimilar to the one portrayed, but it is not the same. Both are full of tender, transformative emotion – joy, relief, release of the tension of anticipation and repentance. But the scene in the story, however it may consciously feel to its protagonists in the moment, is one of two men, father and son but not man and boy. It is, as Jesus surely intended, an expression of the kingdom of God – of incarnation, communion relieved of hierarchy. It is liberation and wisdom hard won – won and lost and won again and lost again throughout our histories. Small wonder, I suppose, that it has escaped portraiture. 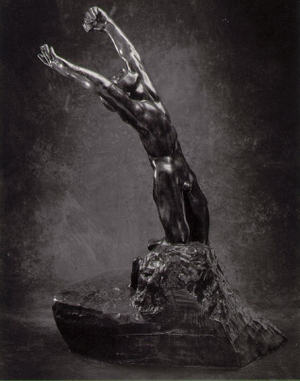 Figure 1: Auguste Rodin’s “Prodigal Son” (1884) reaching from stone and earth in desperate appeal to two fathers. 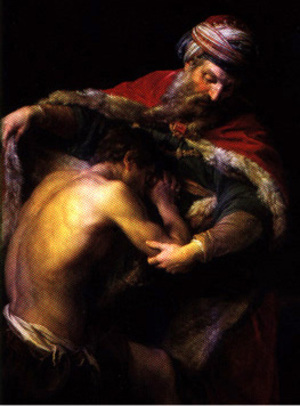 Figure 3: Pompeo Batoni’s version of “The Return of the Prodigal Son” (1773) is bold rather than subtle, its color and shadow dramatic. Note the tension in the son’s bent back and his anguished hidden face, buried as much in his own hands as in his father’s less than full embrace. Is he, with his right hand, reaching to clothe his son’s back? Does his left hand grasp or hold? If there is blessing, we cannot tell whether hard of soft. The painting is less revealing than Rembrandt’s masterpiece below. Batoni’s son is indeed more anguished, the character of his father’s passion more ambiguous, and their reconciliation less clear than that portrayed in the story, or by Rembrandt. Compare the light, the faces of father and son, as well as the two fathers’ arms and hands. 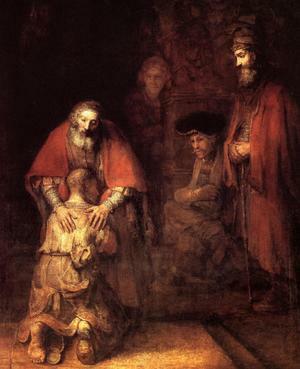 Figure 4: Rembrandt’s “Return of the Prodigal Son” (c. 1669) There is so much to see: the father’s tender hands and face in strongest light, the son’s penitent feet, his head turned in to his father’s body, his face in half shadow. Perhaps the older brother stands behind, in full shadow, his face a mask. Adapted from a talk given at Modum Bad, a remarkable psychiatric hospital and learning center in Vikersund, Norway. In that adventure there are several paths to follow, some worn by many feet, some freshly made. The one suggested and illustrated here echoes the values upon which Modum Bad was founded. It may be appropriate, in this 50th anniversary year, to assess their significance and their presence in our midst today.